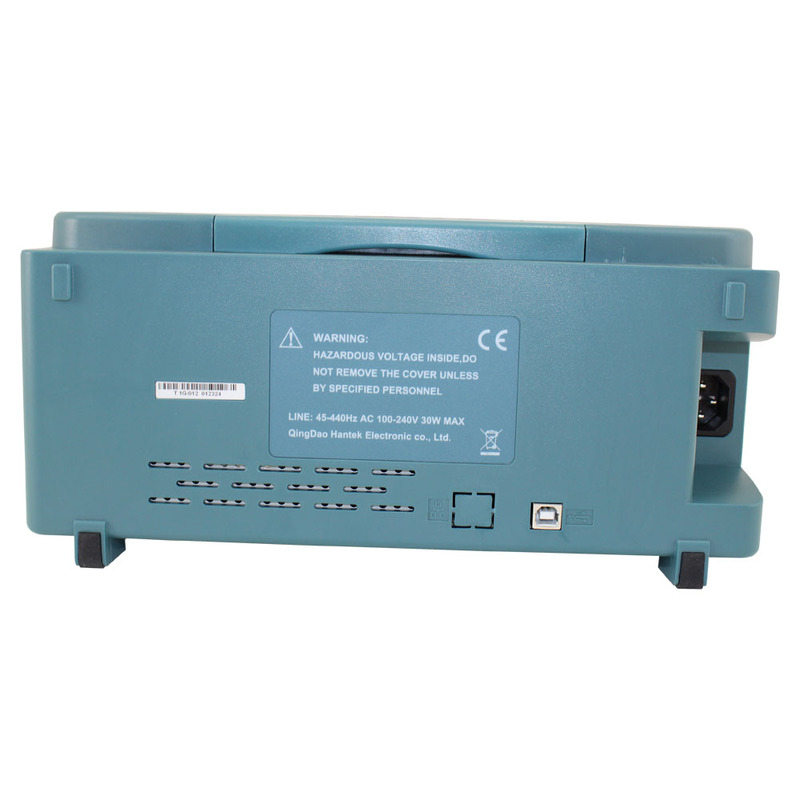 Circuit Specialists is able to offer the Hantek DSO5102BM at the lowest price online. 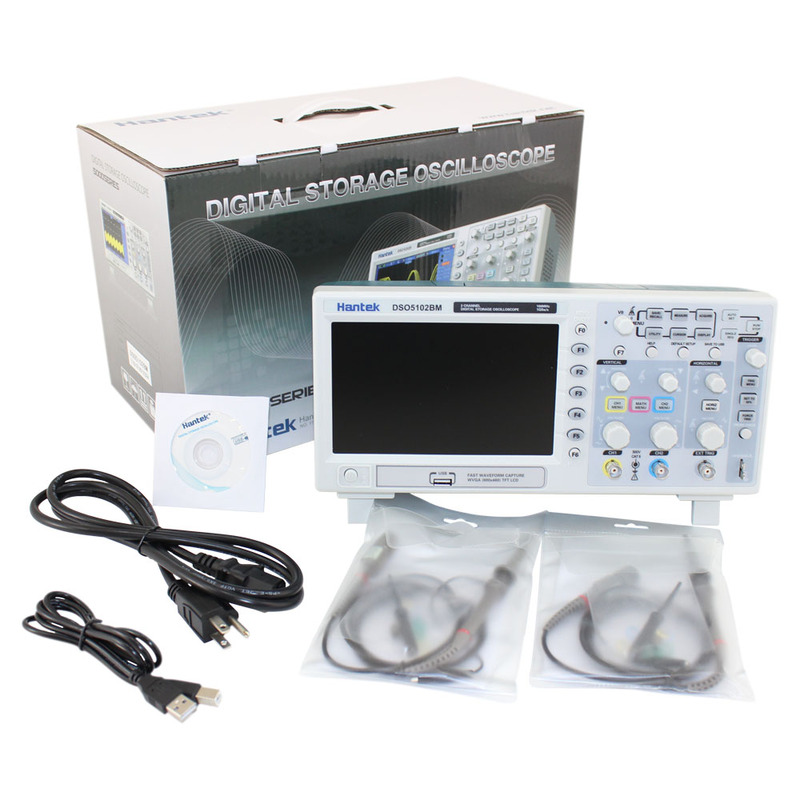 Even at the low price of $359 this Hantek digital storage oscilloscope is shipped for FREE and supported from the United States. The Hantek DSO5102BM is functionally the same as the DSO5102B, however, the M model offers double the on-board memory. 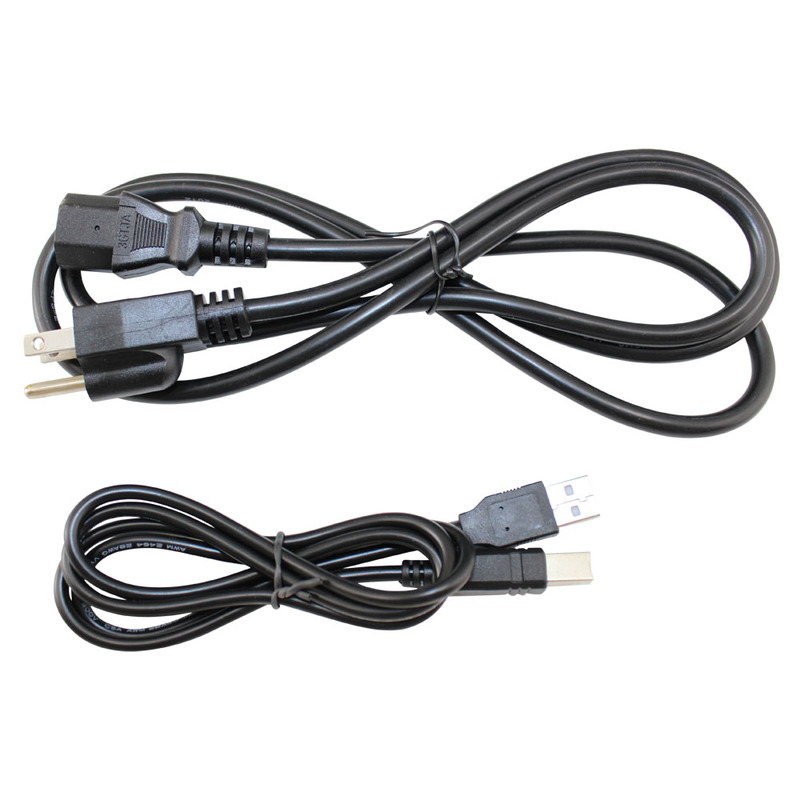 Meaning 2M instead of the 1M available on the DSO5102B. 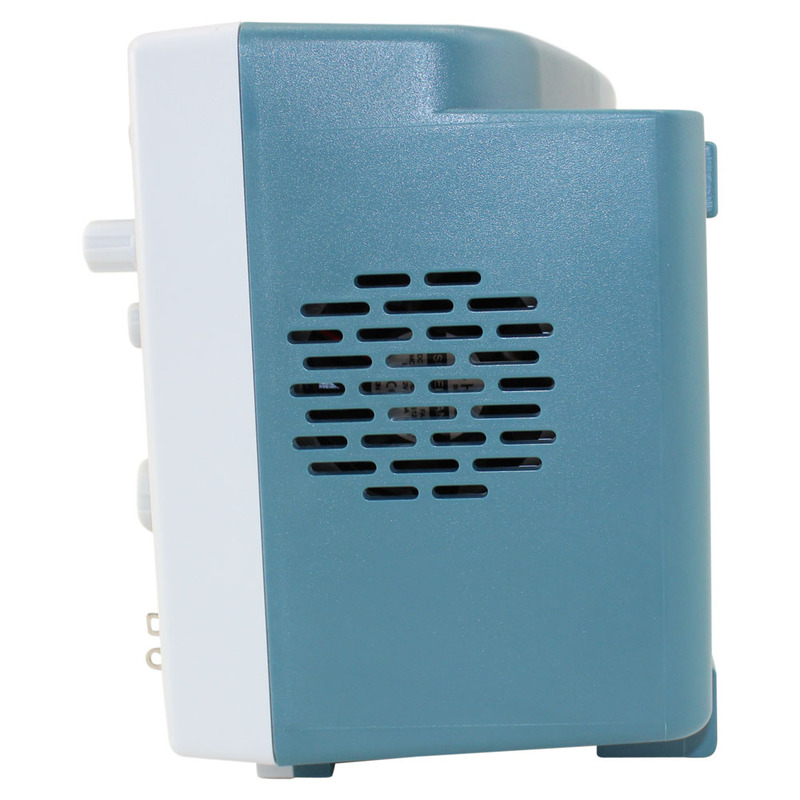 The 5102BM provides you with the same superior performance in the same compact, affordable design. 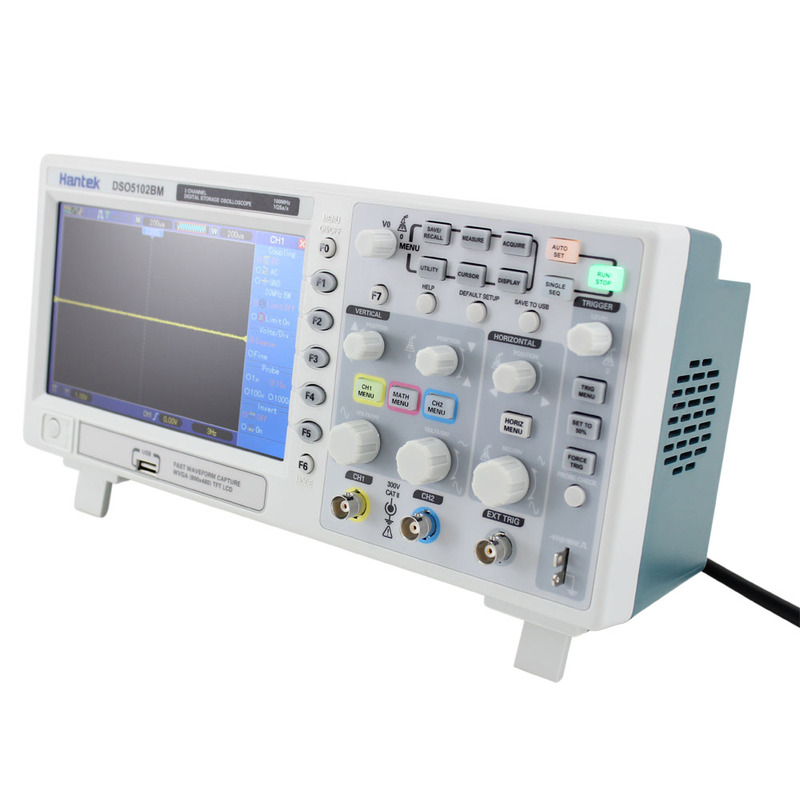 It's also loaded with all of the same standard features as its sibling, including USB connectivity, automated measurements, limit testing, data loading, and context-sensitive measurement that allow this digital storage oscilloscope to help you get more done in less time. And like its stablemate, the DSO5102BM offers as much bandwidth and the same high sample rate for the price, but with double the available memory. 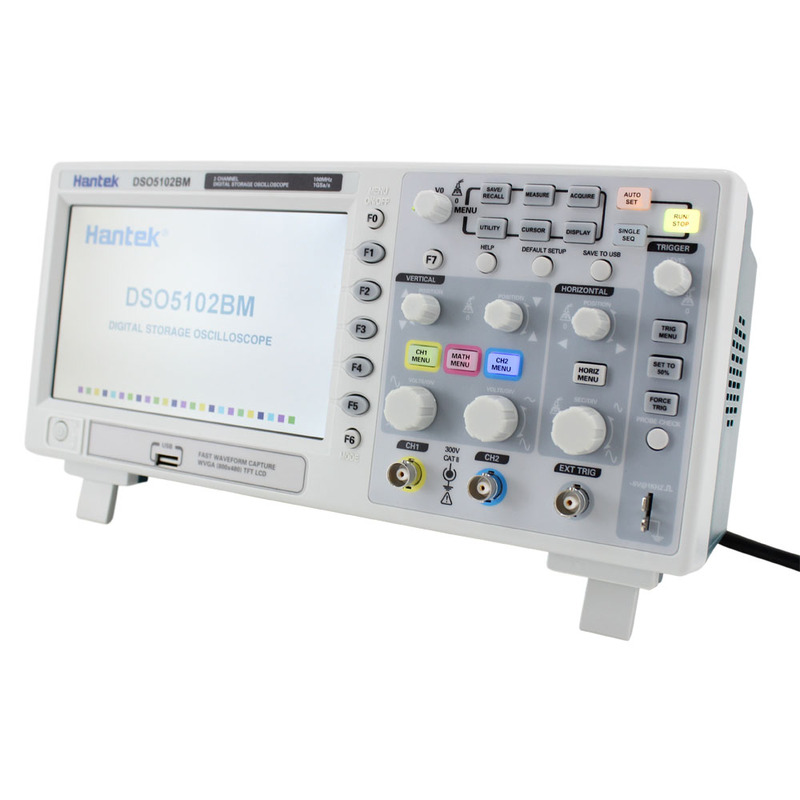 This Hantek alos provides the same realtime sampling with oversampling on all channels, all the time accurately capturing signals in its expansive 2M record length internal memory. 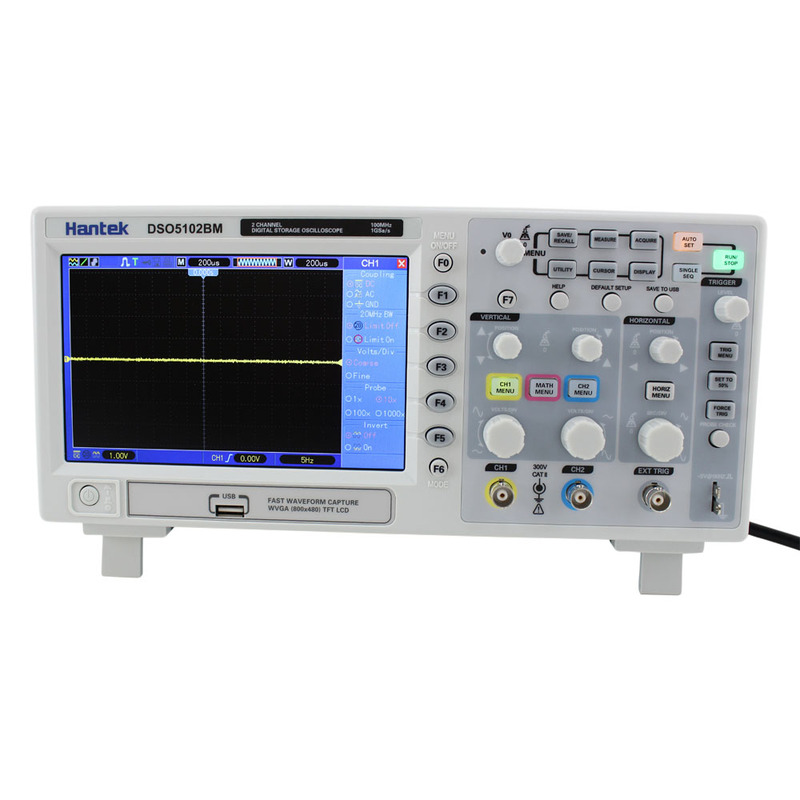 This feature packed, digital oscilloscope also features the same clear, detailed 7" color TFT display as the 5102B and includes Hantek's innovative on screen "Help" system which provides relevant on-screen help at any time simply by pressing the "HELP" button. This feature makes getting up to speed and using the Hantek 5102BM a snap. Multifunctional knobs and the powerful shortcut keys help save time during operation. Autoset function lets you detect sine and square waves automatically. 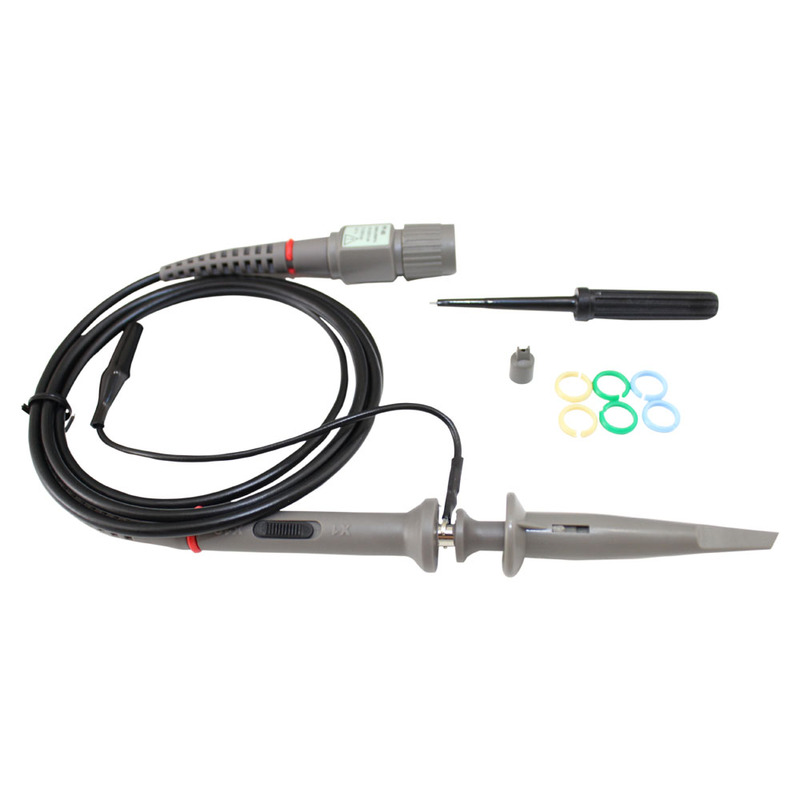 Probe Check Wizard guides you to adjust the probecompensation and set the Probe option attenuation factor. The DSO5202BM provides three help methods (context-sensitive, hyperlinks, and an index). 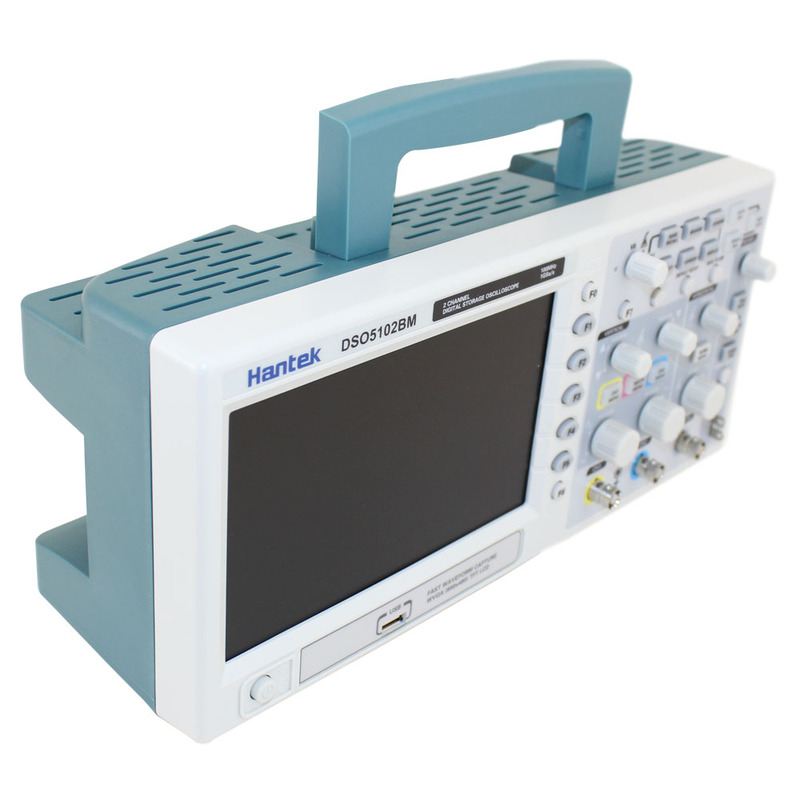 For more information, refer to the Hantek DSO5202P Oscilloscope Owners Manual. Here you can inspect Hantek's three year warranty for the DSO5102BM. Here is the Hantek Scope Software CD in (ISO Format). Click here for an article about Oscilloscope Memory Depth.